2. Always use your credit card into a limit: Some time people use their credit card to buy something so costly which they can’t really afford to buy with cash. You should use your credit card to purchase only those things with your credit card which you can also purchase with cash too. 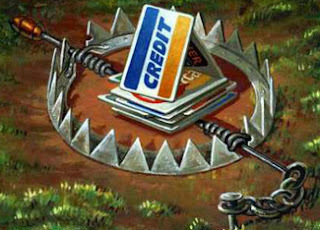 This way you would be able to avoid credit card debt. 3. Do not transfer your balance without proper reason: Avoid transferring your balance just for the sake of transfer. You should do such things only when you get some good offers such as low interest offers on shopping by any other credit card. But if you do it without any reason then your balance would increase due to the transfer. 4. Make your payments on time: This is the most important part of your credit card. Every month try to make your payments on time in order to avoid the credit card debt. It will keep you safe and happy. And more over, you won’t have the stress or tensions of increment of credit card debt or late payments. 5. Understand the signs of credit card debt: So many people slowly - slowly sink into debt but don’t realize and by the time they realize, its too late for them. So you should always be aware of the symptoms of debt. The more you are alert, the more you are safe. 6. Do not have so many credit cards: People say that they have a very good command over themselves, but still they can’t stop themselves from using their credit cards, especially if they have so many cards. And if you have many credit cards, you would never be able to stop your self from swapping them. And it will do nothing but to increase your credit card debt. So always try to have minimum number of credit cards to avoid any type of credit card debt.